The Luminous Warrior takes readers on an enriching, soulful experience, through stories, dreams, and ancient rites and ceremonies. In his latest book, Alberto Villoldo sets his focus on the medicine men and women of the Andes and Amazon, whose healing practices and visions radically changed his worldview. Villoldo shares some of their time-honored wisdom practices that emphasize the sacred dream: an ephemeral, yet powerful vision that has the potential to guide us to our purpose and show us our place in the universe. 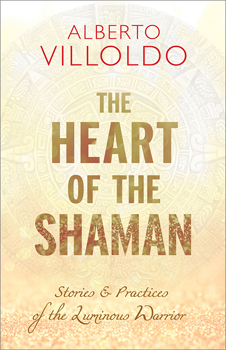 In this book, Villoldo will explain how to find your sacred dream, embark on a journey of transformation and healing, and discover the light within and around you.